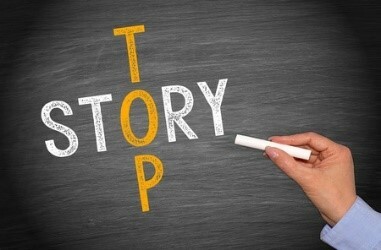 One of the best ways to generate referrals through your customers is to use case studies. how others like them have benefited. Not only that, asking a customer for their permission to use them as a case study shows how much you value them. It also shows how much you value referrals so is likely to prompt more referrals from them. So, what is a customer case study? A detailed account of how they used your product or service and the benefits they realised. A statement from your customer (to make it more personal). XYZ Co sell IT support services to SMEs. They set up customers on a 1 year contract. Their first year margins are low due to the cost of acquisition, so most profit is from contract renewal. They worried that only 60% of customers renewed after the first year, and asked us to find out why. We mapped the customer journey. It showed that the customers who weren’t renewing were the ones who hadn’t had to use the service. That meant they didn’t see its value. Worse, they hadn’t had any regular communication with XYZ until the contract renewal notice. articles about new developments in IT and how their customers could benefit. XYZ said: “We have great relationships with those customers who use our services. By concentrating on them we forgot to look after those who hadn’t needed us that year. It was simple to set up a regular email newsletter. It prompted some customers to contact us for help. The articles about new developments actually gave us a good number of cross sales. Even better, 95% of customers now renew. We have been able to cut our marketing budget. The money helps to develop even more services, which in turn is increasing our business”. They raise awareness of your firm. They set you apart from your competition by associating you with your high-profile customers. They attract media attention because they are easy copy for newspapers, especially local ones. Reporters especially like that you have already identified sources willing to speak to them. They can also attract web traffic, as they tend to have the keywords that your prospects enter. They keep you front of mind with prospective customers until they are ready to buy. The best ones prompt prospective customers to contact you because they want to be ahead of their competitors. They give prospective customers confidence that your solutions work as promised, making sales easier. Featuring in a case study can help position your customer as a thought leader in their industry. (it’s also free publicity for them which can generate business for them! ).